As I post photos of dragonflies, I realize that it is hard for readers to get a feel of the relative size of these beautiful creatures. The Uhler’s Sundragons that I have featured recently are about 1.7 inches in length (44 mm). 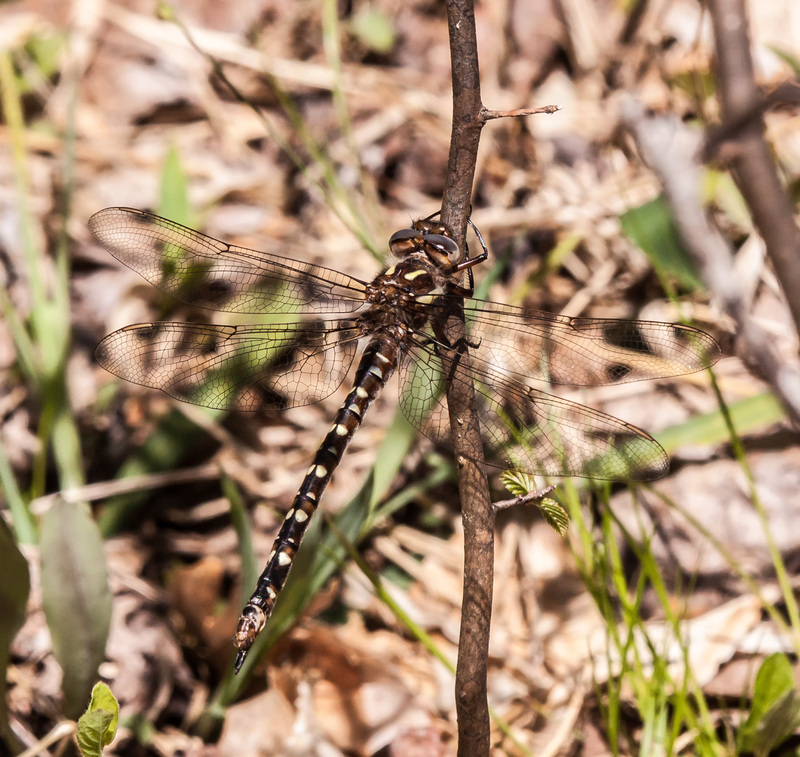 A Twin-spotted Spiketail, by contrast, is much larger, about 2.8 inches in length (69 mm). Both of these species are uncommon to rare in our area, primarily because of their specific habitat requirements—they require clean forest streams, which are not common in the Washington D.C. metropolitan area and they have an early and short flight season of only a few weeks. 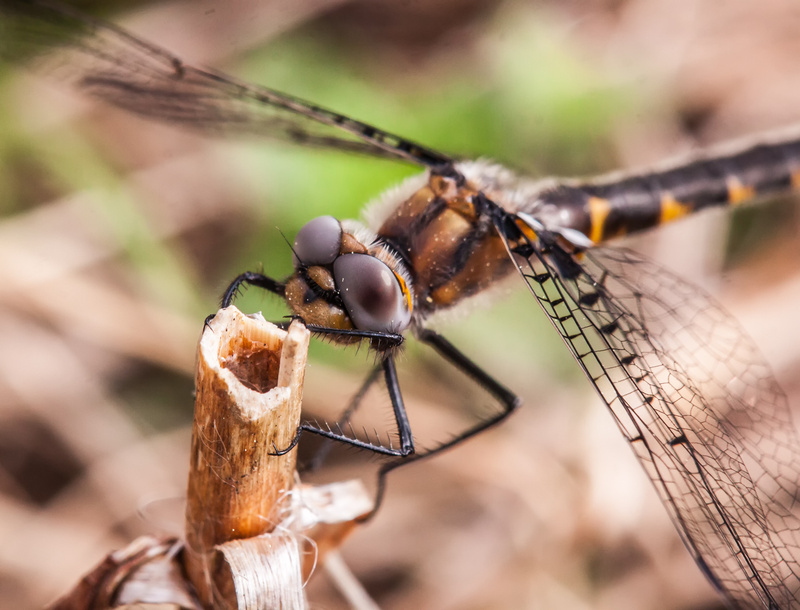 You know you are pretty close to a dragonfly when you can see individual grains of pollen on its head and body. I photographed this Uhler’s Sundragon dragonfly (Helocordulia uhleri) on 12 April alongside a creek in Northern Virginia. Ideally it would be best to stabilize macro shots taken at this close a range by placing the camera on a tripod, but in a field situation with a live subject, that is rarely possible. 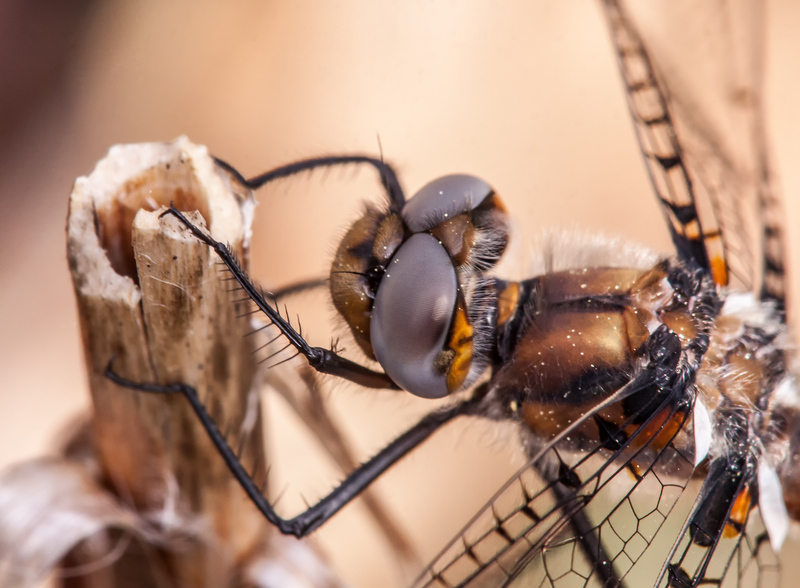 If you click on the individual images, you will see some wonderful details, like the ommatidia, the individual optical units that make up the amazing compound eyes of these dragonflies. 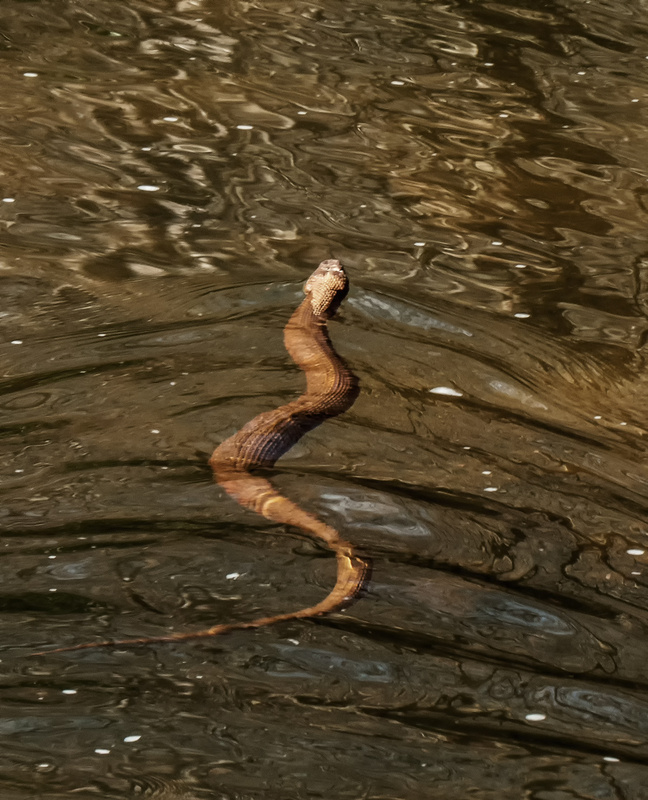 One of the hazards of exploring creeks and streams at this time of the year is that snakes may be sunning themselves at water’s edge. Last week I was startled when I suddenly realized that there was a snake right in front of me, precisely in the direction in which I had been moving. 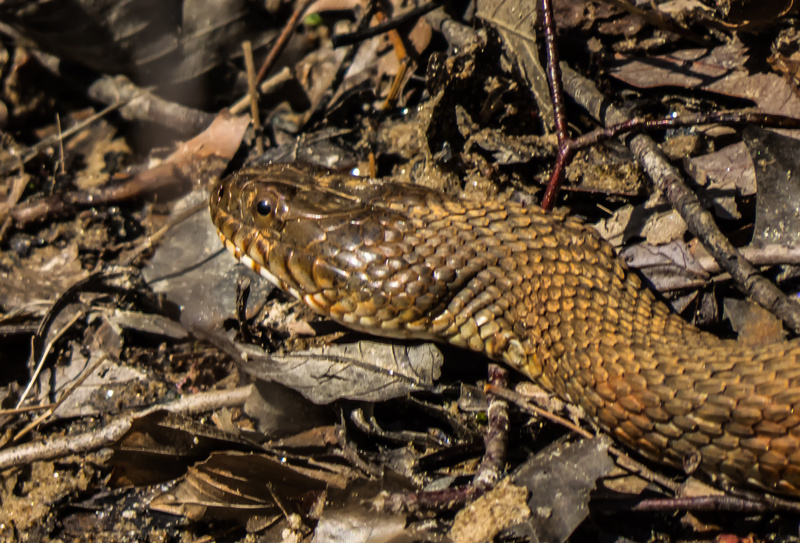 I managed to get a shot of the sunning snake, which I believe to be a Northern Water Snake (Nerodia sipedon), just before it set off swimming down the creek. Although the first shot may make it look like I was really close to the snake, I was actually a good distance away—generally I prefer to use long telephoto lenses with snakes.